Established in 1985, Marhaba soon expanded its business to partners from all around the world: USA, Sout Africa, France, China and Chile. 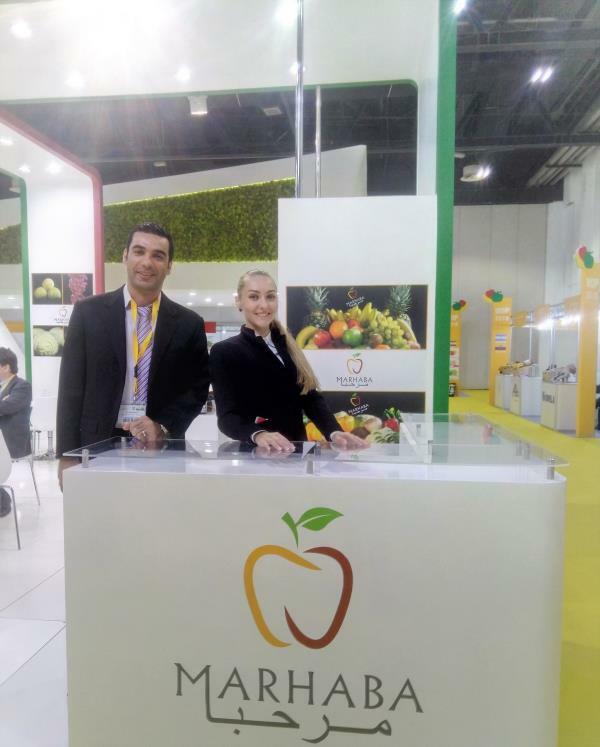 With its head office in Dubai’ s central fruit and vegetable market Marhaba distributes its high quality fruits and vegetables in the MENA and Central Asia region. Company collaborate with key suppliers from all continents and has strong distribution channel, which give the possibility to provide and export all kind of fresh produce all the year round with more competitive prices, by packing a variety of goods in one shipment. New division, opened recently will increase the exporting volume and competitive advantage of Marhaba. Well known in Middle East region for its quality brand, company presented its products to WOP Dubai show in order to meet their customers and to find new partners for cooperation globally.